Compatability of Telex antenna connectors. 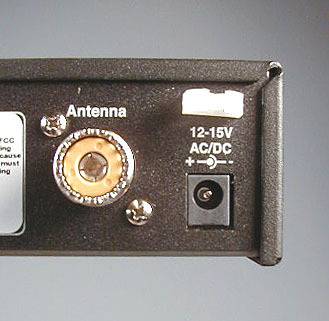 Over the years, Telex has manufactured transmitters with two type of antenna connectors. 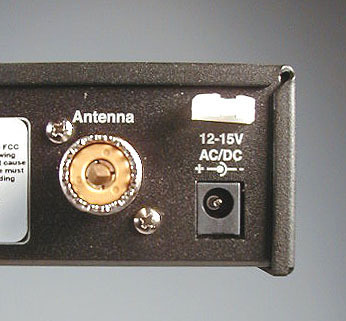 The traditional PL-259 or UHF connector and a newer design that uses a spring loaded center plug to make contact with the antenna. The replacement antennas and extension cables use the traditional connector and a small modification may be necessary on your transmitter to have it fit correctly. 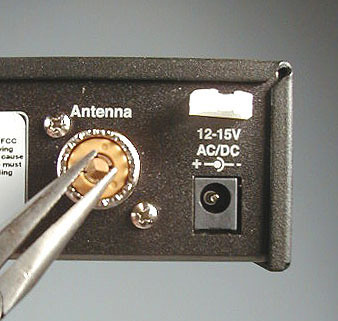 If your transmitter antenna connector looks like photo number 1, take a needle nose pliers and remove the center gold part. Your connector is now ready to accept the new antenna or extension cable.